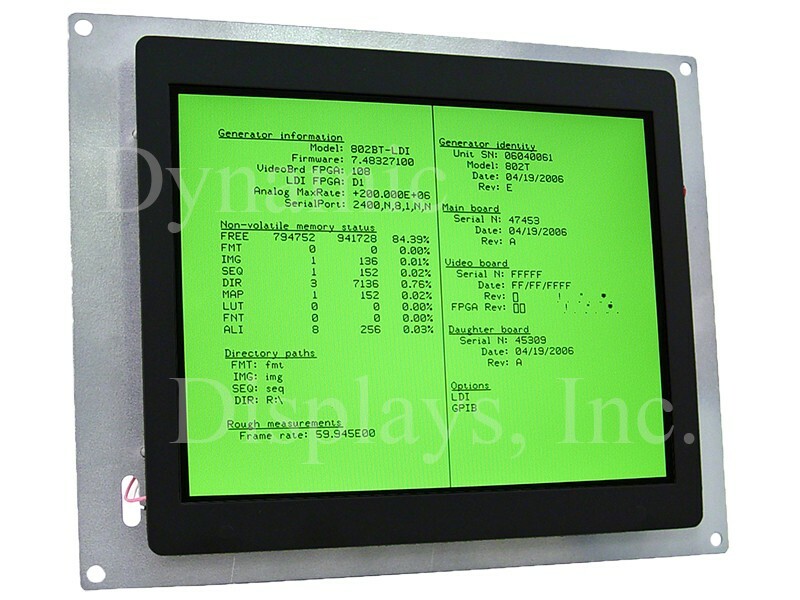 Model QES1510-027 10.4 In LCD replaces Matsushita TR-121AYB (Matsushita TR121AYB), 12 In Monochrome CRT Displays used in Okuma OSP 5020 L.
Dynamic Displays offers a cost effective 10.4” LCD monitor replacement for the Matsushita TR-121AYB 12” monochrome monitor used in the Okuma OSP Operating Panel 5020 LSY and Okuma OSP 5020 L.
This LCD Matsushita TR-121AYB replacement monitor, model QES1510-027, has a rugged steel chassis and is designed to drop into the mounting frame of the original Matsushita TR-121AYB 12 inch monochrome CRT mounting holes. In addition, this new 10.4” LCD monitor has mating video and power input connections via the 10-pin edgecard connector with circuitry and firmware engineered specifically for plug and play in the Okuma Operator Interface OSP5020L. We guarantee it will work in your old control. Upgrading your old Okuma 12" monochrome CRT console unit with a QES1510-027 Replacement LCD display is a cost-effective way of extending the useful life of your existing automation investment. 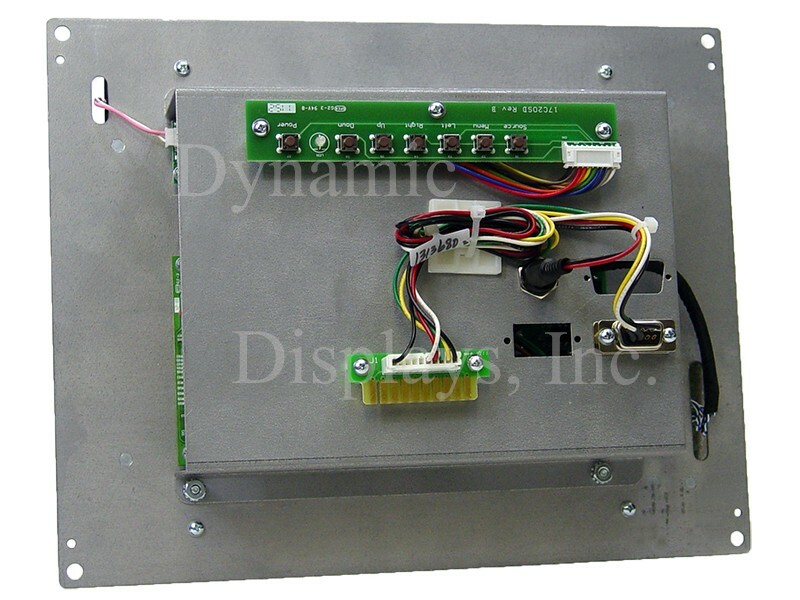 Replace your old, low-performance CRT display unit with a new, affordable, high-quality replacement LCD Flat Panel display from Dynamic Displays, Inc. today.